OK. I’ll take the bait. Texts in moral psychology again insist that we examine “responsibility for character,” and psychiatrists have renewed their interest in the role of religions and various forms of spirituality in the development of personality and of psychiatric conditions. It is therefore timely to re–examine a tradition in the West which viewed phenomena akin to depression as “a spiritual disease” (1). So depression is a spiritual disease? Come hear the music play. Come to the Cabaret (2). Professor Daly lists characteristics of depression as “diminished interest or pleasure in most or any activities, weight loss, insomnia or hypersomnia. . . fatigue or loss of energy, feelings of worthlessness or inappropriate guilt. . . recurrent thoughts of death, and suicidal ideation” (3). I’m not admitting to any of these although my unwillingness to do so is, of course, disingenuous. Daly quotes the American Psychiatric Association guidelines saying these symptoms “cause clinically significant distress or impairment in social, occupational, or other important areas of functioning.” Social anorexia? Let me put a couple of these symptoms in their proper perspective. Insomnia and hypersomnia can be manifestations of aging. Recurrent thoughts of death can be philosophical and/or theological ponderings born of the acute realization that all of us are mortal. That kind of theological and/or philosophical pondering can lead one to have little intereste in Kindle Fire, reality TV, electronic games, cocktail parties—or the Republican primaries. I suppose those disinterests are manifestations of “a spiritual disease,” or at least a social disease, not unlike juvenile delinquency (4). fled Constantinople in his thirties for Jerusalem after he “fell in love with the wife of a prominent member of the highest society in the capital.” In Jerusalem he attached himself to the monasteries of Melania the Elder and of Rufinus. For the last seventeen years of his life (382–399), he lived as a member of a community of hermit monks (5). Ah! The hermit monks. Social anorexia? So Daly begins his argument about depression as a spiritual disorder with a writer suffering from one symptom of depression, social anorexia. Now the complete break in my logic, the cracks of which are already apparent. Shame is . . . an egocentric response to wrong-doing. . . a pervasive sense that the offender is bad, rather than . . . that the offender has done something bad. Persons dealing with shame feel . . . they are unable to change their behavior because that behavior simply flows from who they are. This emotional experience often leads to hiding behaviors, procrastination, blaming others, and anger. Shame is predictive of low self-esteem and depression (6). 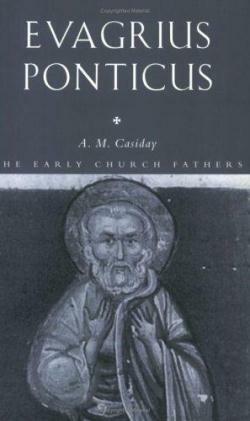 Evagrius Pontus must have felt himself bad, not that he had done something bad. If shame is a response to wrong-doing, it is not a neurological condition. It is not part of Bipolar II Disorder or any other clinical presentation. If one wants to use such language, shame is a spiritual disease. And it is, according to Grimm, et al, predictive of depression. It also often leads to anger. the awareness of stigma that surrounds homosexuality leads the experience to become an extremely negative one; shame and secrecy, silence and self-awareness, a strong sense of differentness—and of peculiarity—pervades the consciousness (7). 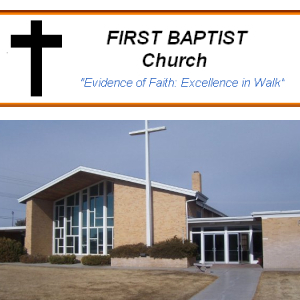 I grew up gay in the ‘50s in a small Nebraska city, a member of a Baptist Church of which my father was pastor. Shame and secrecy and a sense of peculiarity were my daily companions from about third grade on. Is it surprising there’s a possibility I’m an angry depressive living (still somewhat) in shame? Lest anyone think I’m saying being gay is the cause of my shame, my depression, and my anger [and my social anorexia], I point out that not all LGBT persons feel shame or are depressed or deal with anger issues. Most do not have the struggle I’ve had with those characteristics. I know a gay couple who grew up in essentially the same circumstances as mine in Nebraska (neither of their fathers was a Baptist preacher) neither of whom has ever been treated for depression or any of its manifestations. My work for most of my life has been to try to sort all of these things out and to make a life for myself. I have succeeded pretty well in the latter. And I’m finally beginning either to succeed at the former or to come to some sort of peace with it. I guess I’m writing this because I am living this moment in the wake of an extraordinarily difficult time that has helped me sort, and I have new insight. The struggle to understand and to be in contact with oneself means a life in chaos, experiencing shame, confusion, anguish, horror, anger, wrath, self-contempt, powerlessness and violence. There is also much happiness, joy, gratefulness and satisfaction in life . . . [But the] struggle can appear through worry whether the peace and happiness will last or if a new period of unreality lurks round the corner (8). I know shame, confusion, wrath, self-contempt, and even violence. (The violent episodes in my life are, I’m sure, the result of shame—and/or manic behavior—but they then have fed the shame in a cycle.) I also know happiness, gratefulness and some satisfaction. It is a wonder to me that never have my family, my colleagues, and my friends left me to struggle with my chaos, shame, confusion, or anger alone. I live in gratitude that for 67 years I have always had someone to give me assurance. Gratitude may be a form of spiritual remedy. (1) Daly, Robert W. “Before Depression: The Medieval Vice Of Acedia.” Psychiatry: Interpersonal & Biological Processes 70.1 (2007): 30-51. 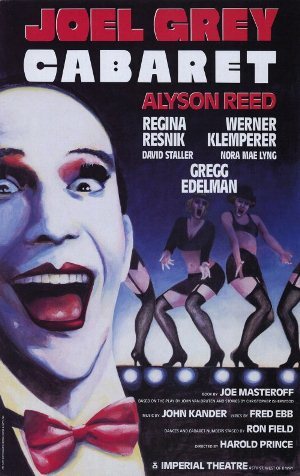 (2) Cabaret. Harold Prince, director. Music by John Kander, lyrics by Fred Ebb. New York: Broadhurst Theater, 1966. (4) As long as I’m in the musical theater mode, I might as well quote “Gee, Officer Krupke” from WestSide Story. (5) Daly quoting: Evagrius. Cistercian Studies Series: Number Four. The Praktikos; Chapters on Prayer. J. Bamberger, Trans. Spencer, MA: Cistercian Press, 1970. (6) Grimm, Julia P. Grimm, et al. “Feeling Bad: The Different Colors Of Remorse.” Journal Of Psychology & Christianity 30.1 (2011): 51-69. (7) Kelley, Thomas M., and Richard A. Robertson. “Relational Aggression And Victimization In Gay Male Relationships: The Role Of Internalized Homophobia.” Aggressive Behavior 34.5 (2008): 475-485. (8) Maria Nyström, et al. “Extra Dimensions In All Aspects Of Life—The Meaning Of Life With Bipolar Disorder.” International Journal Of Qualitative Studies On Health & Well-Being 4.3 (2009): 159-169. Michel Foucault does a great job (Madness and Civilization) of describing how the one–religion–morphed into the other–psychiatry–while preserving and making use of the same methods and protocols (detailed confession according to an approved manual of examination), e.g. And made a good living out of it too. We make it up as we go along, don’t we.